Would you like us to notify you when the app is available? Leave us your details below. 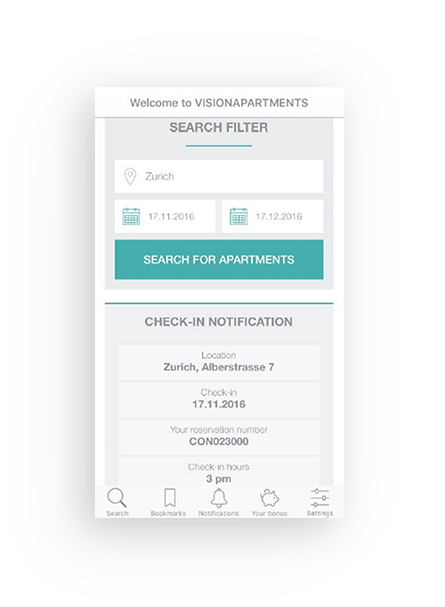 For every booking made via VISIONAPARTMENTS APP we provide the password to a faster WIFI package. 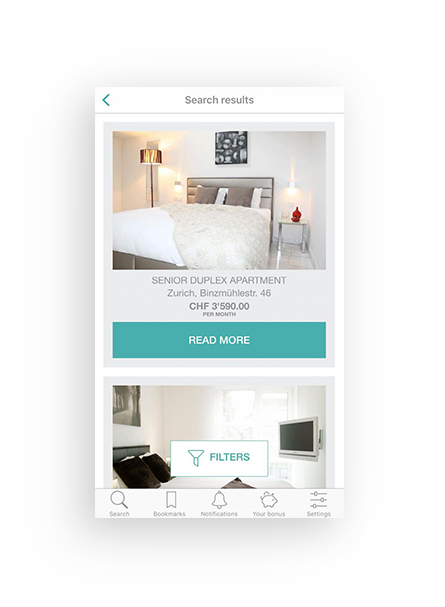 You get a CHF 50 voucher simply by downloading the app. 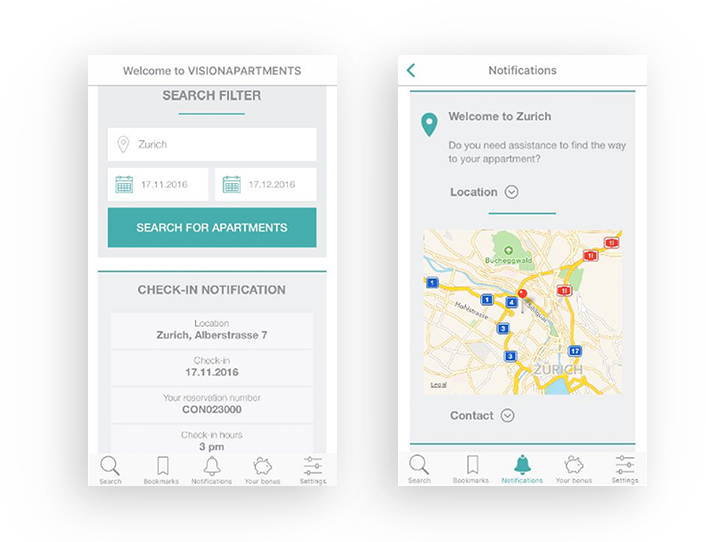 Invite three more people to download it as well, and you receive a bonus of CHF 100. 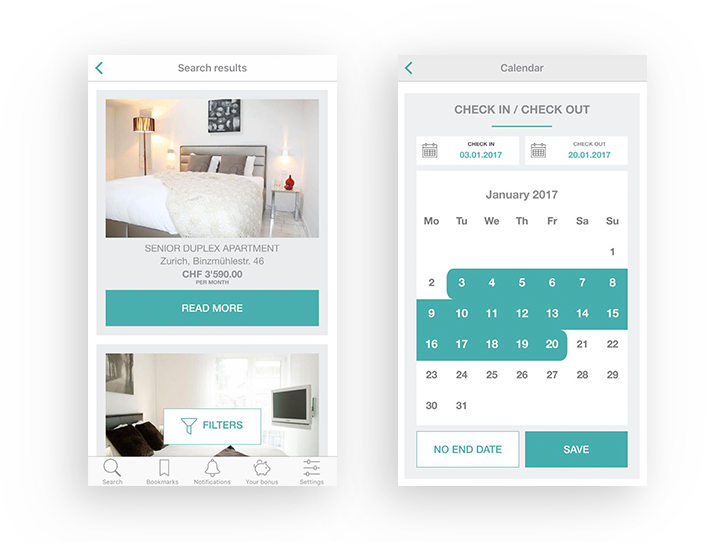 Choose the location and dates, filter by price and apartment category, view detailed offer with pictures and find your perfect match. 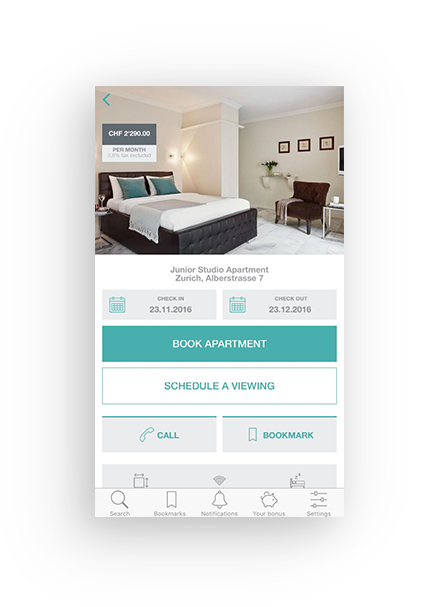 Complete the full booking process on your smartphone. Add extras, special wishes and choose the payment method. You can also schedule a viewing. 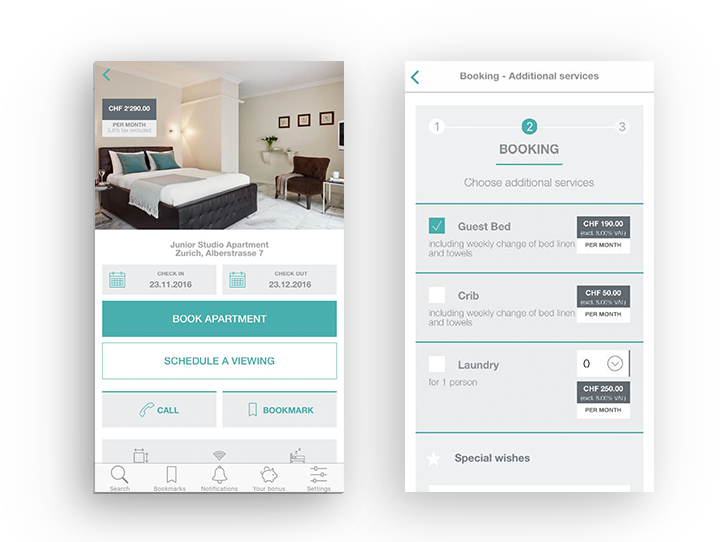 You will receive reminders with the check-in date and address, a detailed map of the apartment location, the contact to the local office and, last but not least, the WiFi password. 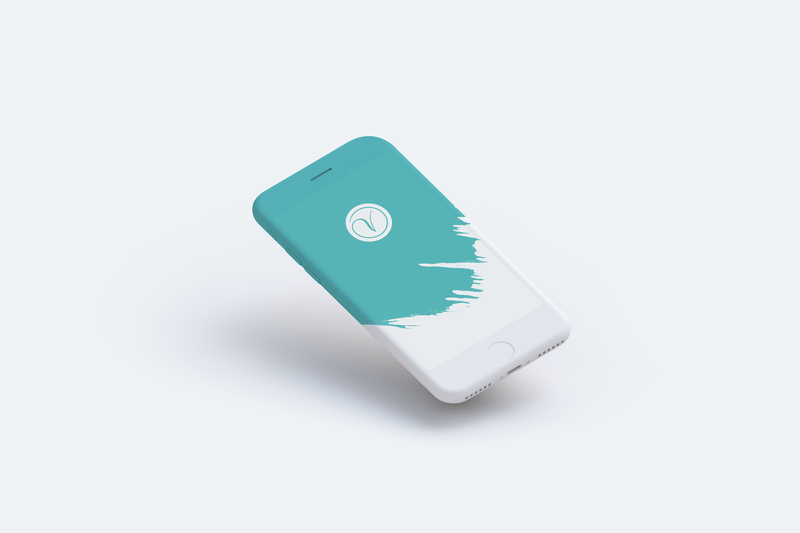 We are constantly developing the app and working on new updates and funcionalities.